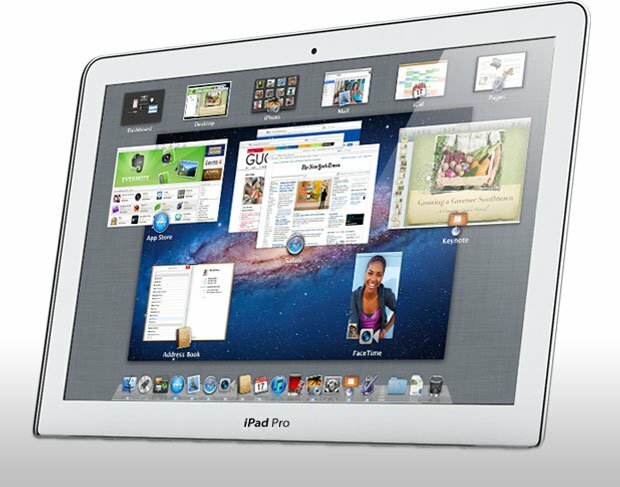 Was Apple investigating the idea of Mac OS X iPads, or MacBook Airs running on ARM chipsets? In 2010, Apple's Platform Technologies Group (a subdivision of the CoreOS department) spent some time working on a project to port the Mac OS X Darwin kernel to the ARMv5 chipset architecture -- the same family of chipsets that currently powers iOS devices like the iPhone and iPad. Getting the buildsystem into shape, so that it can build the kernel and kexts. Building and booting the kernel into single user mode. Booting the system into multi-user mode. The project was only made public several months ago. While iOS also uses the Darwin kernel, this project involved Mac OS X 10.6 Snow Leopard and was left for the CoreOS teams to continue. Since Mac OX X 10.7 Lion has since shipped, as have newer generations of iPad and MacBook Air, without any sign of MAC OS X on ARM, it's unknown if this project is still ongoing or has since been put on the shelf. However, the author of the paper is now a full-time employee at Apple, working as a CoreOS Engineer. While some might find the idea of a Mac OS X iPad intriguing, Tablet PC, which put full Microsoft Windows on a tablet, never gained any traction in the market. It, like Mac OS X, was simply not designed for a multitouch user interface. Microsoft, to their credit, is currently working on Windows 8, which will have both a Windows Phone-like Metro user interface optimized for tablets, and a more traditional Windows 7-like interface for desktops and laptops. Instead of making MacBook Airs with ARM processors, Apple decided to take iOS software "Back to the Mac" instead with OS X 10.7 Lion. Given Apple's preference for simplicity, and the huge sales they've achieved with iPad, it seems unlikely they'd deviate from their current strategy. Indeed, there has been more speculation of late that Apple would continue to move iOS towards the Mac, as opposed to moving the Mac to ARM. However, Mac OS X once ran on Power PC chips, yet Apple had it secretly running on Intel chips at the same time. It only makes sense for a company as forward thinking as Apple to have ARM-compatible builds of OS X in the development labs. As it was described by a manager: "We do the plumbing, if we do our jobs right, you never see it.". The Platform Technologies Group, a subdivision of the Core OS department, works on the embedded platforms that Apple maintains. Here, platforms are brought up and the embedded kernel and lower level support for the platforms is maintained. Darwin is the lower half of the Mac OSX operating system. It includes the XNU kernel which is based on the Mach microkernel, and the userland. The MV88F6281 is an ARMv5te compatible processor from Marvell. It is based on their custom Sheeva core, which is designed to be like the ARM926EJ-S core from ARM. It has all the features youʼd expect from a modern CPU, including several high speed SERDES lanes, a Harvard L1 cache, and 128kb of unified L2 cache.